This transmission has been remanufactured at our state of the art facility using the latest advancements in aftermarket technology. We have carefully engineered a process that allows a 68RFE rebuild to maximize performance and durability while staying within a wholesale price range. This heavy duty transmission is a direct replacement for Dodge Ram 2500, 3500, 1 Ton, and 3/4 Ton Trucks. Core Deposit: $1,000.00 - $3,000.00 Office Hours: Monday-Friday 8:00am to 9:00pm CST. 4X2 or 4X4: We have 2 and 4WD models available. Torque Converter: We don't charge extra for necessary components. The 68RFE torque converter is included with every transmission. The 68RFE does not have 2nd gear prime for downshifting. The 68RFE transmission has a larger bellhousing with a different bolt pattern to accommodate the larger diesel engines. This transmission also has modified internal components to handle the torque and diesel engine. This transmission comes with a 3 year nationwide warranty. We do not charge restocking or shipping fees when a transmission qualifies for a warranty. Restocking and shipping fees are applied if a customer wants to return a non defective transmission or is outside the continental United States. Buyers warranty begins at original date of purchase and expires 3 years or 36 thousand miles thereafter. Every transmission has been run on a state of the art Dyno. A Dyno simulates the conditions encountered by a transmission during every day and extreme use. This ensures that when your part arrives, it will have been rigorously tested for noises, leaks, vibrations and performance. Any part that does not meet our strict guidelines will be completely disassembled and gone through until our quality requirements have been restored. 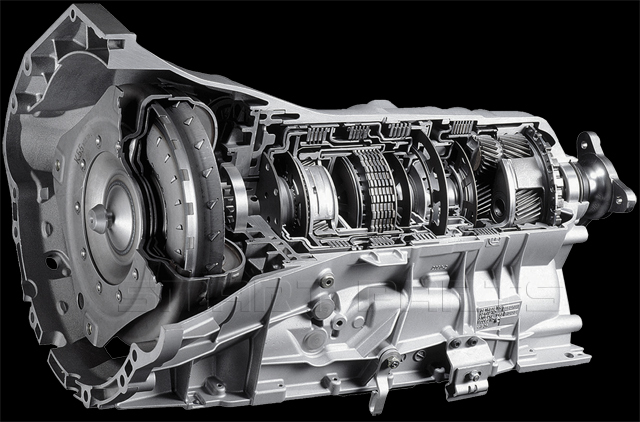 Every remanufactured transmission has been built and inspected by a certified technician. Our technicians have an average experience of 10 years or more.